The Lord God King of the Universe is the Creator God Who created the world ex-nihilo (out of nothing) in the space of six days. The Creator did this not because He lacked something, but was pleased to manifest His glory to His creatures. Therefore, we believe that the whole creation exists to display the glory of its Creator. Everything was created for God's own glory and for God's own purpose. Creation is the free act of the triune Yahweh to create the world and everything in it, visible and invisible, out of nothing for His own purpose and glory. The Son of God was not only the Agent of Creation, but He was the goal of Creation. Not only were all things that were created, created by Him and through Him, but also for Him. Do not miss this bit. The reason that the Creation exists is for the Son—for His pleasure and for His glory. Everything is set up and is created for the praise of Jesus’ glory. Such is the Father's good pleasure that the Son may be glorified in all things, just like the Father (John 5:22-23). Even salvation has the glory of God as its end and goal. Three times in Ephesians 1 we are told that we have been predestined and saved “to the praise of his glorious grace” (Eph. 1:6) and “to the praise of his glory” (Eph. 1:12, 14). See also Isaiah 43:7; 60:21; 61:3; Psalm 143:11; Ezekiel 36:21-22; 39:7; Ephesians 3:9-10. All things were created and exist to glorify God and God will glorify Himself in all things, no doubt! See also John Piper, Why Did God Create the World? This controversy concerning the days of Genesis started with Augustine, I believe. He believed that God basically made everything in a moment, as time means nothing to an Eternal God. But many have taken Augustine's position and pointed to it to “excuse” or “support” their radical departure from a straightforward reading of Genesis. What can we learn from the Bible about the days of creation? I believe that a straightforward reading of the account will give us nothing apart from 6 days of God’s work in creating everything and the 7th day for rest. But this has been challenged by the rise of secular theories of origin, and some Christians have been comfortable to come up with all sort of ways to make the Bible fit with “science.” All of these secular theories do not acknowledge that the days of Genesis are straightforward 24 hour days. 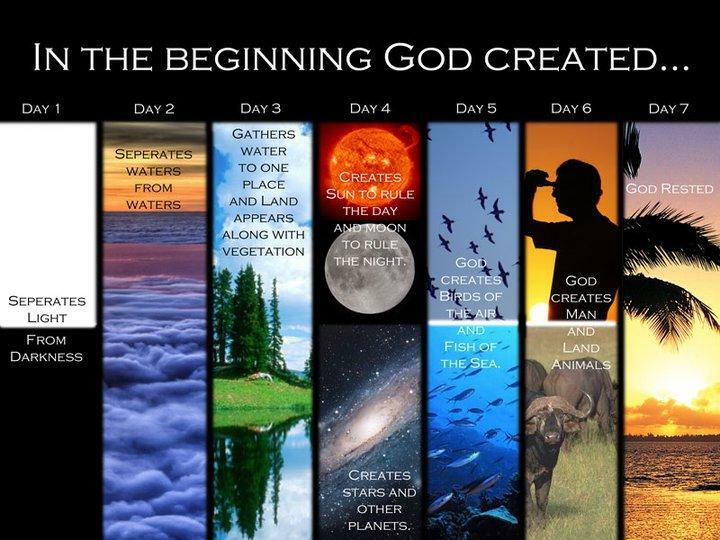 If Christians accept these theories, then they say that the days of Genesis are long ages. They sometimes even mix and change the chronology of the days. I don’t want to rebut those positions here, but I want to lay down my position. For those wanting to learn of the Creationist position, I point you to Creation.com and AnswersInGenesis.org. This is not the place to learn anything new from this debate. First, the fact that the days spoken of in Genesis are regular days, much like the ones we have (they may have been an hour shorter or something, but basically they are not long ages) is seen from the way that God closes His work every day. Remember, this is the account of the only Witness that could see the creation and He has been pleased to reveal it to us. At the end of day 1 through 6, there is this reoccurring phrase, “there was evening and there was morning, the X day.” This shows that the days spoken of here are simple days like we have, they constitute an evening and a morning. And there was evening, and there was morning, the second day. The same pattern is repeated at the end of each day and each day is constituted of an evening and a morning. This is very basic and it is a regular day. There may be the question as to how could there be a day if there was no sun until day 4. This question could be answered by saying that there is no need for the sun for there to be a day. Why? Because a day constitutes of the earth rotating around its axis. Second, there was already light made on day 1. The way the Bible refers back to the creation week is also confirming for the length of days. From Mount Sinai, the LORD, Yahweh the Creator Himself, commands His people to pattern their workweek after the work that He did in the Creation. I think that the Israelites had a pretty good idea of how long a day was. They were not told to work for long ages, and then rest for a long age. No. They were told to work six regular days and rest the 7th. Pretty straightforward. They are to copy the pattern of God's work-week. Another point is that it has been observed that whenever a numeral is attached to a day in the Old Testament, it always means a regular day. Thus we have the seventh day in a lot of places, for example. All these days refer to simple 24 hour days and not anything longer. The argument that the Day of the Lord is perhaps longer than a regular day, and thus in this way, perhaps the days of Genesis 1 are longer than regular days will not work here. The Day of the Lord is not preceded by a number, i.e., the first day or the sixth day. Second, we do not deny non-literal uses of the word “day” in the Bible, but we deny the non-literal use of the word day in Genesis 1 because of the context and the few points mentioned above. This is enough for me to be confirmed in the straightforward reading as the true history of the Creation. What Was Created Each Day? This is a more tricky and hotly debated subject than the days of Genesis. I'm a Young Earth Creationist, thus I do believe the Earth to be young and around 6 to 10 thousand years based on the genealogies of Genesis. They do not seem to contain any gaps, and even if they did, they would not mount up to millions of years. Millions of years will only come when you first make the days of Genesis to be long ages, not because of anything in the text, but because we're forcing something upon the text. I’m also comfortable with this view based on giants who went before me in interpreting the text. It is not a hot issue for me. I accept it by faith based on what I can see in the Word of God. This Confession says that everything was made in the space of six days, it’s not a giant leap to assume that they meant regular days like the ones they had. When Moses writes that God created heaven and earth and whatever is in them in six days, then let this period continue to have been six days, and do not venture to devise any comment according to which six days were one day. But if you cannot understand how this could have been done in six days, then grant the Holy Spirit the honor of being more learned than you are. For you are to deal with Scripture in such a way that you bear in mind that God Himself says what is written. But since God is speaking, it is not fitting for you wantonly to turn His Word in the direction you wish to go. A rebellious spirit will display itself no less insolently when it hears that there are three persons in the divine essence, than when it hears that God when he created man foresaw every thing that was to happen to him. Nor will they abstain from their jeers when told that little more than five thousand years have elapsed since the creation of the world. For they will ask, Why did the power of God slumber so long in idleness? In short, nothing can be stated that they will not assail with derision. To quell their blasphemies, must we say nothing concerning the divinity of the Son and Spirit? Must the creation of the world be passed over in silence? No! The truth of God is too powerful, both here and everywhere, to dread the slanders of the ungodly, as Augustine powerfully maintains in his treatise, De Bono Perseverantiae (cap. 14ñ20). In the debates and discussions about the age of the earth between Christians, I have never yet heard someone bring up Christians from the past who believed the earth was millions of years old. It is the common and traditional Christian position that the earth is relatively young. In a lot of old literature (commentaries or books), people would reference events from the creation of Adam, and these numbers would not be in tens of thousands or millions. Even the Jews, seeing how Josephus does his chronology in The Antiquities of the Jews, believed in a relatively young earth. The reason to doubt the age of the earth was not exegetical, but was external and I believe, forced on the text of Scripture. While it may be possible that there are gaps in the chronologies of Genesis, I have not studied the issue deeply, still, this wouldn't give us an earth which is millions of years old, or indeed, 4,6 billion years old according to modern scientists. To fit the data that modern scientists have discovered about the earth, some Christians have been more comfortable to doubt the Bible's account than that which the modern scientists, with their (almost always) secular presuppositions, give. It is very important when thinking about the creation account that we test our presuppositions and see what is moving us to have a particular view. What has “science” revealed that trumps our Creationist view? Are we anti-science? What presuppositions are used in these scientific findings? Are they consistent with themselves? Are they consistent with Scripture? Do they contradict the proper interpretation of Scripture? These are all important consideration which all of us bring to every topic, but especially in this hotly debated subject, and we should be made aware of them. We are absolutely not anti-science. We simply do not accept everything that is labeled "science" by fallible men and then doubt the infallible account of the Creator. Ultimately, I believe in the Young Earth Creationist position because of my reading of the Scripture, not because of the findings of scientists. I find those interesting, but my ultimate allegiance is to the written Word of God. Man is created as male and female with reasonable and immortal souls (Gen. 1:27; 2:7), distinguished from animals. Furthermore, man was rendered fit unto the life to God for which they were created. Man was created after the image of God (Gen. 1:26), which consisted in knowledge, righteousness, and true holiness (Col. 3:10; Eph. 4:24 ). The law of God was written in their hearts (Rom. 2:14-15). It was not something external to them and most importantly, they had the power to fulfill it. While all men have the law on their hearts (Rom. 2:15), yet they do not possess the power to fulfill it. Something important to note here is that the law of God, which is summarized in the Ten Commandments, is not only formulated in the “thou shalt not's”, but also positively in “thou shalt.” The seventh commandment to a sinless man, for example, would be, “You shall be faithful to your wife and cling fast to her.” The same concepts could be communicated in forms of “thou shalt.” Furthermore, the Confession speaks here of the law of God, which is summarized in the Ten Commandments (see chapter 19), yet the wording of a specific commandment could be different from the time before and after the Fall. Man, in his original state had the power to fulfill the law, but also to transgressing it, which Adam and Eve did. They were not fixed in their state, but were still in the time of their probation and were left to the liberty of their own will. This does not mean that God was not Sovereign over Adam and Eve's decision, as God's decree does not violate man's liberty as chapter 3 teaches. Had Adam obeyed past his time of probation, he would have earned eternal life and blessedness for all his descendants. In Gen. 1:26 both words are used, but in the twenty-seventh verse only the first. This is evidently considered sufficient to express the whole idea. In Gen. 5:1 only the word “likeness” occurs, but in the third verse of that chapter both terms are again found. Gen. 9:6 contains only the word “image” as a complete expression of the idea. Turning to the New Testament, we find “image” and “glory” used in I Cor. 11:7, “image” alone in Col. 3:10, and “likeness” only in Jas. 3:9. Evidently the two are used interchangeably in Scripture. Man is further distinguished from the rest of creation on the earth when we observe that man is a volitional and moral creature. Man is able to make choices which have motivations and which are self-conscious, unlike the lower creation and animals, but similar to God. Man is able to think of, plan and consider his choices and options, unlike the animal kingdom. Furthermore, man possesses the law of God which enables him to distinguish good from evil (e.g. Rom. 2:14-15; see also here). Man has moral qualities which animals do not have. When speaking of the restored image of God, Paul says that it constitutes righteousness, holiness and knowledge (Eph. 4:24; Col. 3:10). This was also true at the beginning of the creation. Redemption restores the fallen image of God in us to its original and perfected state. Man was made upright (Eccl. 7:29) and possessed a law in his heart by which he knew what it meant to be upright. By virtue of the fact that man is made in the image of God and possessing the law of God, man is morally accountable to God. This is not true of the immaterial creation or for the animals, for example. Every single man and woman will stand before the throne of God to give an account for their lives (see chapter 32). Seth was not identical to Adam, but he was like him in many ways, as a son is like his father. The text simply means that Seth was like Adam. It does not specify any specific number of ways that Seth was like Adam, and it would be overly restrictive for us to assert that one or another characteristic determined the way in which Seth was in Adam’s image and likeness. Was it his brown eyes? Or his curly hair? Perhaps it was his athletic prowess, or his serious disposition or even his quick temper? Of course, such speculation would be useless. It is evident that every way in which Seth was like Adam would be a part of his likeness to Adam and thus part of his being “in the image” of Adam. Similarly, every way in which man is like God is part of his being in the image and likeness of God. The image of God after the Fall was marred because man was no longer holy and righteous, and therefore could not reflect God rightly. With his fallen image, man reflected God wrongly. Our original moral purity and righteousness were lost in the Fall and our sinful actions certainly do not reflect or represent God. We were made upright, but we sought out many schemes (Eccl. 7:29). We are no longer "very good” as the old creation and original image of God in us was (Gen. 1:31). The image of God is not destroyed, but marred and defected in fallen man. The work of redemption sets to restore and perfect the image of God in us. Paul tells us to “put on the new self, created after the likeness of God in true righteousness and holiness” (Eph. 4:24). This new self is being "renewed" in us in the process of sanctification until it is fully formed in us (Col. 3:10; cf. 2Cor. 3:18). As we grow in our faith and in sanctification, we are made more and more like God. The image of God is fully restored in us at the coming of Christ when “we shall be like him” (1 John 3:2) and we will fully be “conformed to the image of his Son” (Rom. 8:29). Furthermore, Scripture tells that that we will bear the image of Christ, specifically (1Cor. 15:49). The redeemed humanity will bear the image of the Son of God (Rom. 8:29; 1Cor. 15:49)! In conclusion, being made in the image of God means that we are in some ways like God. It is a high honor which is bestowed upon us. We are to be God's representatives in the world. This image was marred and distorted by the Fall, but it is being renewed in those who are new creations in Christ. The image of God will be fully restored in us when sanctification is complete and when we are resurrected—we will bear the image of Christ! See chapter 7 (Of God's Covenant), chapter 9 (Of Free Will) and chapter 19 (Of God's Law) for more on these subjects. Besides the law of God which was written in their hearts, they receive a positive commandment (Gen. 2:16-17). Something which is not grounded in the nature of God. The Ten Commandments, for example, are things which are grounded in the nature of God. They are commanded because they are good and reflect God. Positive commands, on the other hand, are good because they are commanded. Examples of positive commands are the Lord's Supper and Baptism. They do not have their ground in the nature of God neither in man. But since they are commanded by God, they are good and they are to be obeyed. So also, in addition to the moral law of God in their hearts, God gave Adam and Eve the command not to eat of the tree of knowledge of good and evil (Gen. 2:16-17) and while they kept it, they were happy in their communion with God. Not only that, but this obedience to God and His command made it such that Adam and Eve had dominion over the creatures. Their obedience did not only affect their vertical relationship, but also the horizontal so much so that all other creatures helped them to fulfill or was obedient their God-given commission to subdue the earth and have dominion over the other creatures (Gen. 1:28). But our parents did disobey God's command and brought condemnation to all men. But all those who trust in Christ are justified because of what Christ did on their behalf by His perfect life and on Golgotha (Rom. 5:17-21). Our parents, at the moment of their rebellion, lost holy and sinless communion with God for themselves and for all their descendants when they took and ate of the forbidden fruit, and thus bringing condemnation and death upon all men. See chapter 7 for more on the Covenant of Works and chapter 6 for more on the Fall. ^ See more at Creation Ministries International. For example Jonathan Sarfati. How could the days of Genesis 1 be literal if the sun wasn’t created until the fourth day? ^ What Luther Says. A Practical In-Home Anthology for the Active Christian, compiled by Ewald M. Plass, Concordia, 1959, p. 93. 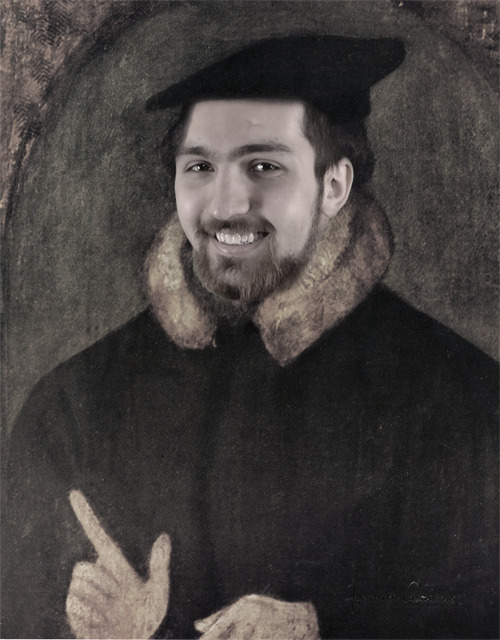 ^ John Calvin. Institutes of the Christian Religion. 3.21.4. ^ Louis Berkhof. Systematic Theology. (Grand Rapids, Michigan: Banner of Truth Trust. 1963). p. 203. ^ John M. Frame. Systematic Theology: An Introduction to Christian Belief. (Phillipsburg, NJ: P&R Publishing, 2014). p. 785. ^ J. I. Packer. Concise Theology: A Guide To Historic Christian Beliefs. (Wheaton, IL: Tyndale House, 1993). p. 71. ^ Wayne Grudem. Systematic Theology: An Introduction to Biblical Doctrine. (Grand Rapids, MI: Zondervan, 1994). p. 444. ^ Richard C. Barcellos. Getting the Garden Right: Adam's Work and God's Rest in Light of Christ. (Cape Coral, FL: Founders Press, 2017). p. 120. ^ Packer, Concise Theology. pp. 72-73.